1. Simon has received 5 stars from The Age and he didn’t even need to bribe them for it. And let’s be honest, they could really use the cash right now. 2. This show details the true story of Simon being told he would be a dad, then being told he might not be the dad, then going crazy trying to work out if he was the dad. It’s a hilarious mess. 3. Simon guaranteed at least 50 big laughs or your money back. Conditions apply. The condition is that you don’t count and you don’t expect your money back. 4. There is stand-up, dancing, singing and it’s all done while Simon wears very skinny jeans. 1. Billions of years ago, stars exploded and dust from those stars settled on the crust of the Earth. From that dust, simple organisms formed and from those organisms humans evolved into their current form. This means that we are all, scientifically speaking, made from the very dust of stars. With this in mind, Simon Taylor is quite dusty. 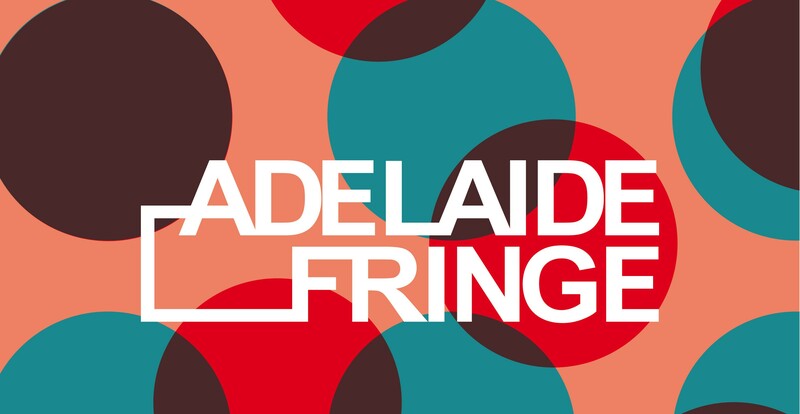 This dust emerges in a beaming showcase of high energy performance, sharp wit and well considered comedy stylings. The performance booms and trickles and swoops and scuttles around the room until it seeps through the pores of your skin, like a frog absorbing life giving water. 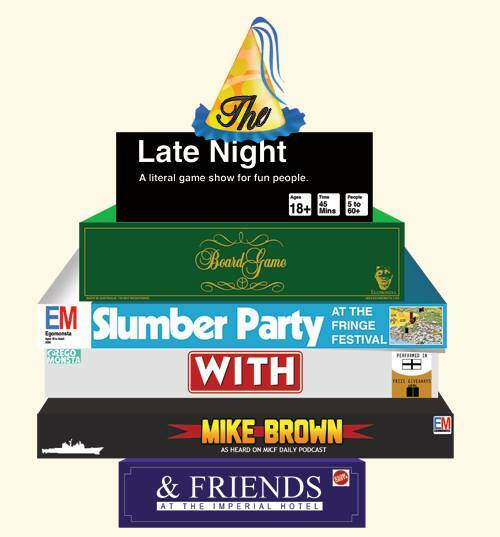 Be a part of this immersive entertainment experience. Drink it up and let it nourish the stardust that sits in your bones. Open your mind to the cosmic force of the universe by embracing the joy infused into this comedian through the vibration of ancient atoms. Simon Taylor is performing Personal Best at The Butterfly Club. 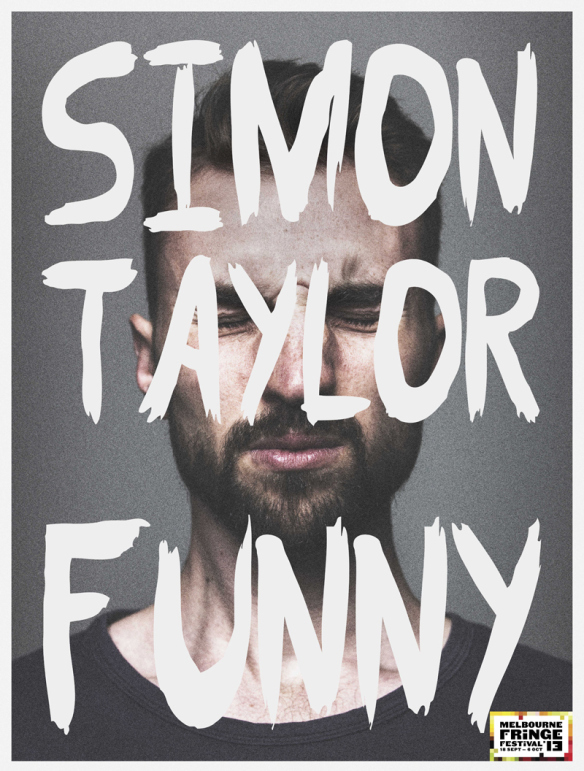 Simon Taylor’s ‘Funny’ is a new hour of stand-up comedy from someone who has been more renowned in the past for being an excellent magician but in this show he presents exactly what it says on the label. With a keen observational eye and charming delivery, Taylor does nothing but bring the funny. 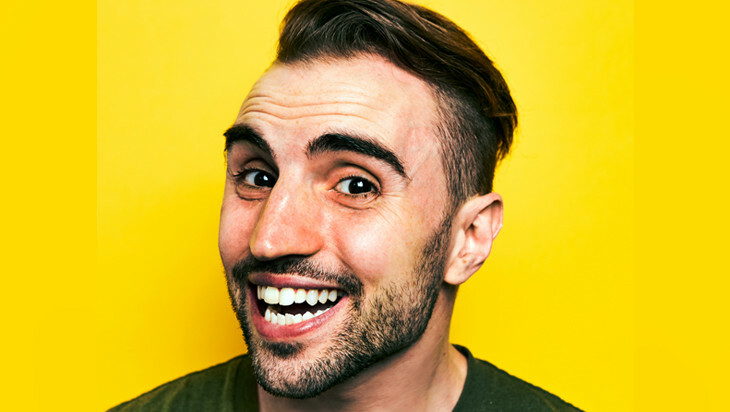 2013 RAW Comedy finalist Jay Morrissey did a short set first, warming up the crowd with a blend of self-depreciation and bravado. His performance was a welcome surprise. Morrissey was confident in his material and even managed to fit a little play into the spot. Not only was his set a joy to watch, it was also really great to see new talent being supported in this way. I’m certain Morrissey will earn himself a good number of new fans. After the audience had been adeptly warmed, Taylor took to the stage, tackling topics from language to reality TV to relationships and bringing his deft wit to all. His breakdown of Australian accents is particular highlight, illustrating the strange poetic beauty of boganisms. Taylor was quick to establish a rapport with the audience. The atmosphere of the room was relaxed and Taylor’s interactions with the audience felt genuine. There was the odd joke about someone’s hometown or relationship status, but it was never mean-spirited. ‘Funny’ is a well-rounded piece of stand-up. Yes, there are explorations of how we function in society, but there are also jokes about Craigieburn. Taylor’s material is sharp and very clever, and he’s not afraid to show a bit of vulnerability as well – perhaps best illustrated in his bit about compromises in relationships. It makes for a show that is intelligent, endearing and all too relatable. Taylor’s work building up his comedy skills at gigs around Australia and in the USA have paid off. Catch him while you can, before he starts getting the nightly sold out audiences his show deserves. You’ll even pick up some handy tips on how to deal with taxi services. 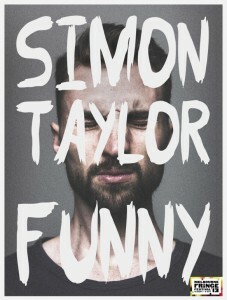 Simon Taylor – Funny is on at The Imperial Hotel until October 6.